$60k of your hard-earned revenue may be going home in the pockets of thieves. The NRA estimates that, on average, Net Income (‘NI’) for most restaurant companies is around 5% to 6%. The NRA also states that loss due to fraud at the restaurant runs around 4% of sales CASH is KING. Assuming the NRA estimates for theft are accurate then it would be safe to further assume that a restaurant with $1,500,000 (‘$1.5M’) in sales could conservatively lose $45K or possibly even $60K in revenue due to theft. Given the number of ways theft can occur, it’s no wonder the percentage (4%) remains as high as it does. It’s not my intent to attempt to try and cover each way a restaurant can be losing money, rather, I’ll focus on the most popular -cash theft. OK, by now you’re probably thinking there’s no way we’re losing that much and maybe you’re not, but ask yourself this; is it possible that $20 or $40 or even $60 a day goes missing? Maybe? Well, let’s look at how that adds up because little numbers have a way of compounding and becoming much larger than one might expect. For example, if theft in your locations is running just $20 a day then it’s possible that you’re losing roughly $7,300 annually from each location where this is occurring - at $40 it becomes $14,600 and at $60 it becomes $21,600. Lastly, multiply the amount you feel is possible your business could be losing times the number of your locations for the total impact. E.G., $40 Daily X 30 Days X 35 Locations = $42,000 Monthly. No matter how you slice it, it’s a lot of money, money that should be getting back to your bottom line but isn’t. My next question – does your current approach to cash theft help you detect a loss of $20 - $60 a day? If you're open 16 hours a day that's just $1.25 an hour - again, doesn't seem like something anyone should be concerned about, right. But that's exactly what the people who are committing this type of theft count on. The best way to combat this level of fraud is by using the data your point-of-sale system makes available (check level detail) and then combine it with an exception-based reporting technique to determine who, among your staff (cashiers, servers, managers) are most likely stealing. Check Level Detail or as some call it; Transaction Level Detail (TLD) is basically every line item rung up on every check in every one of your restaurants every day. Exception-based reporting is a process created by establishing thresholds, generally percentages of what's acceptable / unacceptable to your company, that are then applied to your TLD to produce exceptions. 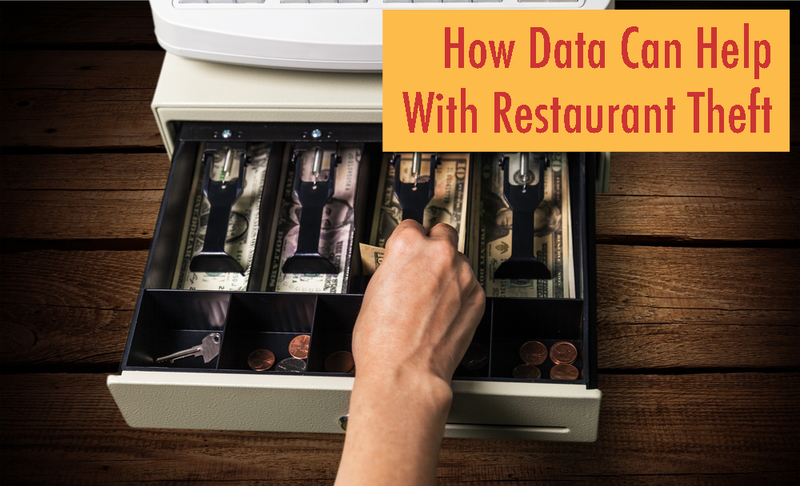 Examines all the data provided for each restaurant. Automatically delivers exceptions via ‘alerts’ -further improves efficiency, convenience and speed to resolution – Alerts can be sent as email or SMS text messages – keeping managers informed without having to login. While it’s not realistic to think you can prevent all theft in every location, it is realistic to think you can minimize this activity by actively monitoring check level detail. For example, you can start by monitoring discounts, voids, overrings, and any other means your POS system allows money to be removed from a check. Next, set a threshold for what’s acceptable. Your company may determine that it's unacceptable to have more than 10% of every dollar discounted, voided, etc., from any check. Therefore, once this threshold is applied to the TLD, a list of individuals who exceed this level will be produced. This limits your review to just those individuals who's behavior matches or exceeds the threshold. Of course you may be thinking 10% is too high and that 0% is the only percentage that's acceptable and while I don't disagree that's a noble goal, I'd argue, setting your thresholds at very low levels to begin will cause a significant percentage of your employees to be flagged making it very difficult, if not impossible, for your team to sort out who the real culprits are. So, in the beginning, my suggestion would be to set your threshold slightly higher than you may be comfortable with and then keep an eye your reporting and make sure the threshold is doing a reasonable job and adjust as necessary. Over time, you’ll want to lower it – again keeping an eye to make sure you’re not flagging everyone. The goal here is to slowly tighten up the level of acceptability and further minimize theft. Your check level detail is a powerful tool and when combined with exception-based reporting it's made even more powerful in helping you combat the many ways cash theft can occur and contribute to that $20 - $60 loss. The steps we’ve described cover some of what you need to be aware of and a few ways to track individuals that may be stealing cash directly. Once you have your exception list in hand, the individuals identified need to be confronted and a resolution for next steps needs to be identified. That can include something as simple as more training is needed or more drastic; termination required. In most, if not all, of these situations having an ability to track the time to resolution and the resolution itself can be equally helpful. There are solutions available that can help you automate these steps. Having a well-rounded approach that helps you see how quickly each incident is being addressed along with its outcome can help you / your team ensure issues are being addressed in a timely manner and as we stated at the beginning; time is money. Having the ability to quickly locate and remove individuals that are stealing can have a significant impact on your bottom line. What could you do with and extra $60K?